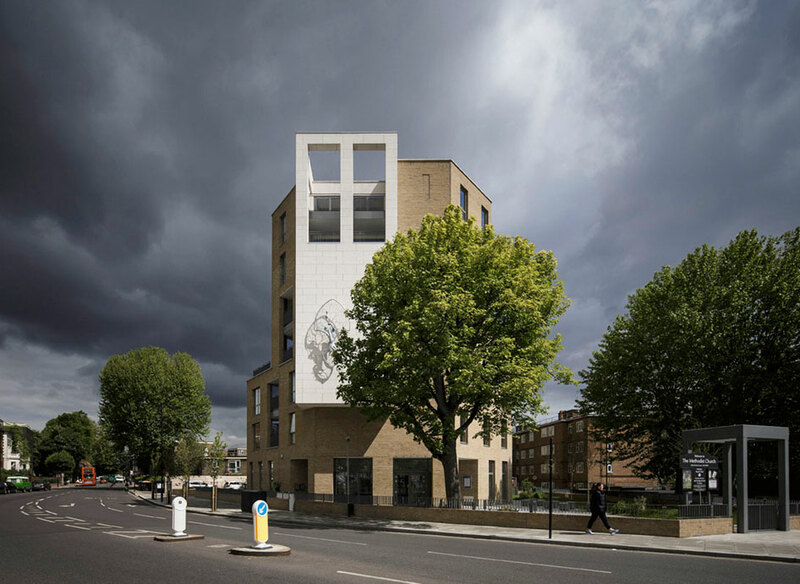 An innovative financial model between a private developer and local parish was created in order to regenerate two dilapidated church sites of which Green Lanes was the first. A large chamfered brick volume houses 32 apartments. 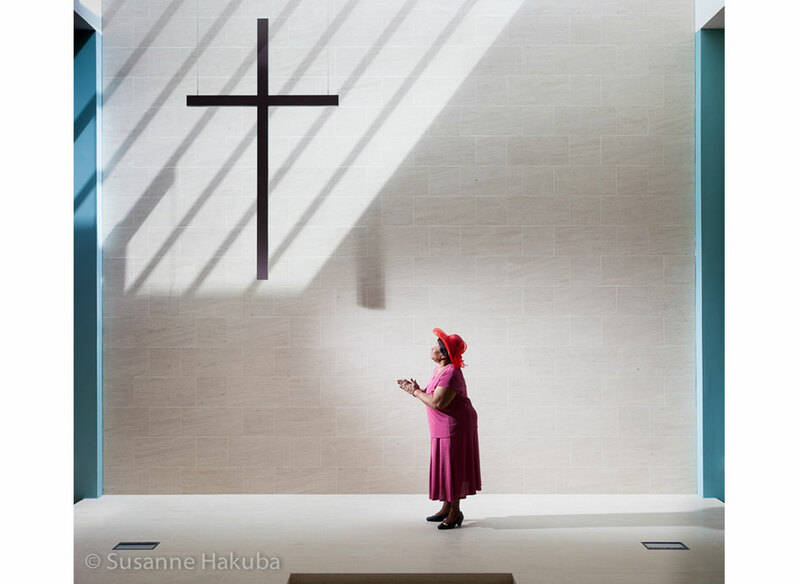 A church and nursery are set within a landscaped garden at ground floor giving life to the building at street level. Addressing the corner of the site is a prominent stone clad bay featuring a sculpture designed by a local artist in collaboration with the parish to signify the religious purpose of the building. A linear urban site constrained at the sides running from a busy high street to a quiet residential area required a unique design response. 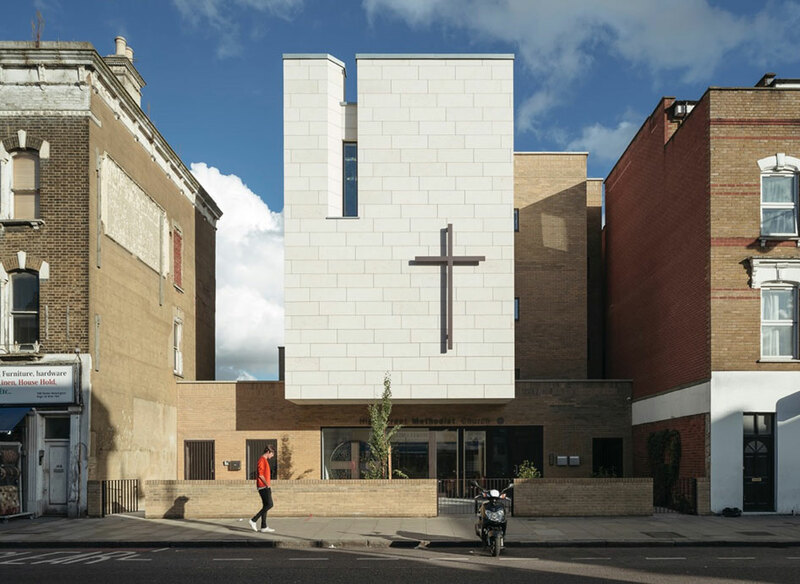 To the High Street, a stone bay floating above a glazing entrance screen set back from the shops on either side welcomes the public into the new church. 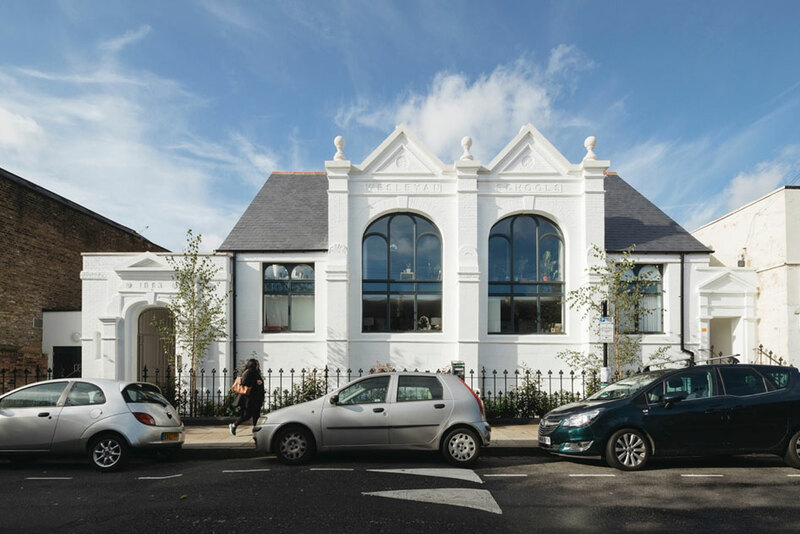 Whilst to the rear, the new residential scheme is arranged around a landscaped courtyard and a locally listed Wesleyan school hall is brought back into use.